Botox cosmetic ®, is an injectable treatment derived from a strictly controlled purified protein. It works by relaxing the underlying muscles that cause dynamic wrinkles in the upper part of the face. The treatment helps to relax the horizontal forehead wrinkles, softens frown lines, squint lines (crow’s feet) and the nasal crunch lines around the eye area. Overall, it helps give you a more relaxed and refreshed look. Botox® has been in use for over 20 years in the treatment of many medical conditions and has now become one of the most popular cosmetic treatments worldwide. More recently, Dr. Swift has modified the technique to allow for treatment of neckbands and droopy eyebrows. The effects of Botox Cosmetic® are usually first noticed 3-4 days after injection, and can last from 4 to 6 months. As a leader in the use of injectables for facial rejuvenation, Dr. Swift has pioneered the use of Botox Cosmetic® and fillers to achieve an overall enhancement of facial features. A strong proponent of a “natural” look his philosophy is to enhance your natural beauty, without removing your expression. Who will perform the injection? Dr. Swift sees and injects all his patients himself. He has been injecting patients and teaching other doctors worldwide proper injection techniques for close to 15 years. Emphasizing Proportion, Harmony thru’ Injection to achieve optimum results. How soon will I see results and are there side effects? The effects of Botox Cosmetic® can usually be seen within a week after the treatment. As with any injection bruising and swelling is possible. How often will I have to repeat these treatments? 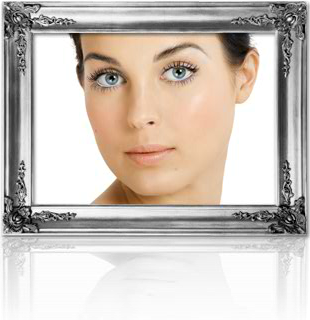 Botox Cosmetic® generally lasts about 4 months. However depending on the strength of the underlying muscles this may vary. Some patients also report that after having done the treatment a few times, the results seem to last longer.